In compressed fragments, stark monostichs, and dense prose poems, the late Argentine poet Alejandra Pizarnik’s oeuvre presents a rich inner world built from a litany of symbols. The first full-length collection in English by one of Latin America’s most significant twentieth-century poets. I…was blown away by the thoughtful interiority—by turns delicate and brutal—of this Argentine poet, who died of an intentional drug overdose at the age of 36. The poems in this new collection, translated by Yvette Siegert and published earlier this year, show a preoccupation with the space—not so large, but also interminably vast—between the workings of the mind and those of the natural world. 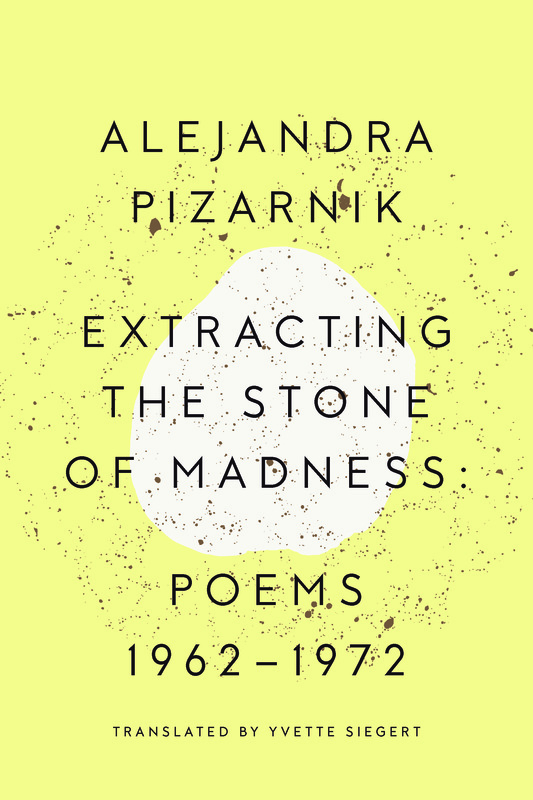 The darkly beautiful poems of the great Argentinian writer Alejandra Pizarnik generate an immersive, Gothic atmosphere in which art is both violence and respite, contamination and antidote, hell and paradise. To the allure Pizarnik has, as a figure wrapped in mystery and an inexplicable personality, must be added the fact that, word by word, she “wrote the night,” and the reader who takes an interest in her will discover that this nocturnal writing, which had a great sense of risk, was born of the purest necessity, something seen in very few 20th-century writers: an extreme lyric and a tragedy. Pizarnik reveals an ecstasy in the instability of language and draws from it a mercurial, pathetic truth. To bear down on Pizarnik’s scant lines is to find their essential rigor: nothing is brittle, nothing breaks. This overdue bilingual edition showcases the exquisite range of her short career…Pizarnik’s brilliant, otherworldy voice will resonate for generations. Pizarnik’s poems flare up like deep, bright flames. There is an aura of almost legendary prestige that surrounds the life and work of Alejandra Pizarnik. Each of Pizarnik’s poems is the cube of an enormous wheel. Read Alejandra Pizarnik’s poems. They’re remarkable. Pizarnik made a huge impact on Spanish-language poetry, taking it down to its darkest depths and abandoning it there, leaving one of the most fascinating legacies in Argentine literature.